Flights from Luton Airport were delayed for longer than any other UK airport last year, analysis of Civil Aviation Authority data suggests. Planes left 19.7 minutes late on average, with Gatwick, Jersey and Durham Tees Valley next worst. The top performers were Heathrow - flights were 11 minutes late - Leeds Bradford, Belfast City and London City. Scheduled and charter flights, but not cancelled services, from the 25 busiest airports were examined in the study. 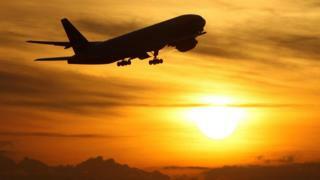 The Press Association, which compiled the departure punctuality ranking, said flights across all airports left an average of 15 minutes late. The CAA said the data allows passengers to "make informed choices about which airports they fly from". But a spokesman for the Airport Operators Association said "outdated" airspace infrastructure limits the efficiency of flights. He said: "Airports are working with air traffic service providers and the government to plan and deliver the necessary changes so everyone can continue to fly with a minimum of delays." A spokeswoman for London Luton said factors outside its control had an influence on punctuality including air traffic control strikes, late arriving aircraft, bad weather and congested airspace. Gatwick said it was doing "everything within its power" to improve the proportion of its flights that depart on time, including using new technology to predict and recover from late running flights.